Victoria, BC, Canada is the capital city of British Columbia, Canada. The city is located on the southern tip of Vancouver Island over looking the Strait of Juan de Fuca on the west coast of Canada. The capital city is referred to by some as,"Old England" and by others as the "City of Gardens" because of the many hanging baskets and the elaborate floral gardens located throughout the Capital Regional District (CRD). Victoria is the main commercial centre on Vancouver Island and home to government, business, tourism and commerce. Activities most enjoyed in the City of Victoria and surrounding areas include biking, cycling, ocean kayaking, whale watching, wildlife touring, swimming, beachcombing, sightseeing, fishing, boating, sailing, spas, hiking, flightseeing, picnicking and golfing. A few of the more popular activity and sightseeing destinations in the region includes the Inner Harbour, Fisherman's Wharf, Roche Cove, Chinatown, Dallas Road - Clover Point, Beacon Hill Park, Devonian Regional Park, Elk/Beaver Lake, Thetis Lake, Goldstream, Willows Beach, Albert Head Lagoon Park, Swan Lake Nature Sanctuary, Sidney Spit National Park Reserve, Thunderbird Park, Coles Bay Regional Park, Uplands Park, Mt. Wells Regional Park, Willows Beach, Francis/King Regional Park, Horth Hill Regional Park and the Galloping Goose Trail. Some of the attractions, museums, art venues and cultural venues in Victoria, British Columbia and the surrounding regions includes the Fisgard Lighthouse National Historic Site, Butchart Gardens, Hatley Park National Historic Site, Legislative Buildings (Government), Emily Carr House, Royal British Columbia Museum, Craigdarroch Castle, Victoria Symphony, the Art Gallery of Greater Victoria, Royal Theatre, Macpherson Theatre, National Geographic IMAX Theatre, Victoria Philharmonic Choir and Ballet Victoria. What are the Accommodations, Services and Amenities in Victoria, BC? What are the places to stay in Victoria, BC? Places to stay includ accommodations like hotels, motels, inns, vacation homes, resorts, cabins, cottages, bed and breakfasts, vacation homes, hostels and campgrounds. Important services and amenities for travelers when exploring in and around Victoria, BC, Canada includes tours, guides, pubs, gift stores, restaurants, cafes, gas stations, grocery stores, liquor stores, cell service, internet, banks and transportation services including a BC Ferry Terminal, cruise ship port, marina, taxi, bus, car rentals and the Sidney/Victoria International Airport. Explore Victoria, BC, Canada Guide for Accommodations, Attractions and Adventure. eh! 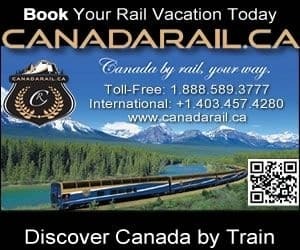 Plan Travel to Victoria, BC, Canada.